This article comes out of some thoughts I shared in a recent review of Eugene Peterson’s book, Eat This Book: A Conversation in the Art of Spiritual Reading, as well as some thoughts that I have been pondering for the past few months. It has to somewhat do with the relationship between orthodoxy and orthopraxy. What do these two odd words mean? Orthodoxy traditionally points to right, or correct, doctrine. To say a person or group is orthodox, one is generally referring to the acceptance of biblical teaching on major-essential topics as understood by the historical church (i.e. Christ’s divinity-humanity, God as Triune, etc). Orthopraxy, then, points to right, or correct, living. I was quite interested in a question which I read somewhere (probably a blog) a few weeks ago. I re-frame the question here, but you should get the point – What is more problematic? Heresy of doctrine of heresy of living? I don’t suppose that many Christians will deny that both are problematic, even dangerous. Orthodoxy and orthopraxy are really two sides to the same coin. You can discuss them separately, but you cannot ultimately pull them apart. They are interconnected. Now, what I have found in my own life, and I would also say I sense this has been true in some parts of western evangelicalism, is that we confess with our lips that both orthodoxy and orthopraxy are important, but if push came to shove, orthodoxy tops orthopraxy in importance. Of course, one could argue that right belief will produce right living. And I understand this and have argued it as well. But I also realise that, practically, it depends on how you approach the topic of orthodoxy. Though I believe in the doctrine of the incarnation, and I would even espouse the detailed teaching of something like the hypostatic union of Christ’s divinity and humanity, I am not sure it would much affect my walk if I had never heard of or confessed my belief in the hypostatic union. Please don’t misunderstand me or get me wrong. I believe that doctrine is important, for the biblical revelation makes it clear it is important. And I do believe the doctrine of the incarnation and all its implications become a very important and essential belief for Christians. We have a Christ-centred faith and here is a doctrine directly addressing our Christ-centred faith. And I also believe that our understanding of the incarnation has very important ramifications on understanding the nature of God, salvation and even ecclesiology (our understanding of the church). But sometimes those intricate details don’t get played out in our lives. Also, note that, in its simplest form, the word orthodoxy could really point to right worship (ortho – right, correct; doxo – honour, worship). I understand that, to have right worship, we must have right belief about who we are worshiping. But we can easily take this way too far. I also believe that we can see much more how orthodoxy as right worship affects orthopraxy as right living, especially if we note our whole lives are to be an offering of honour and worship to our Father. And, so, as I noted above, I do believe the epidemic in my own life, and in some corners of the western world, has been that, though we identify both terms as being important, we have tended to allow one to take precedence (orthodoxy, or right doctrine) over the other (orthopraxy, right living). Thus, it can be easy look favorably upon a person or church that lays out what might be identified as solid evangelical doctrine about the Bible, God, Jesus, the Holy Spirit, salvation, water baptism, heaven, hell, and a few other things, even though there might be a large lack in practical living of compassion, justice, serving the disadvantaged, reaching the poor, washing feet (metaphorically), etc. But if one is doing the latter, like a Mother Teresa, but that person holds to a somewhat confused understanding of justification, well, that person can easily be put under the spotlight of questioning. You see, I recognise this as an indictment upon the whole of my own life as a follower of Christ for just over 14 years. Listen, I am not heading down some path that says all go to heaven regardless, as long as we are decent people. Nor am I abandoning the reality that right doctrine, or right worship, is unimportant. I teach and shepherd a congregation in healthy doctrine on a regular basis. I desire to see the Bible’s teaching get into the blood of those I walk with on a daily basis. But do you see my concern? Remember, this concern has arisen in my own life in recent months. And, lo and behold, though possibly to the disdain of some, I have at times sensed the call of Jesus to lay aside my ‘orthodoxy’ so that I can actually live out what he is asking of me. I imagine that this is what was taking place as a sheet lowered before Peter with a bunch of unclean animals in Acts 10. I realise that Jesus sometimes calls us beyond what we believe is beneficial to following him. And I should have expected such knowing he engaged in this on a regular basis as he walked the dusty roads of Judea, Samaria and Galilee. Here was the good shepherd (or ‘pastor’) eating with prostitutes. Here was one breaking the norm of Sabbath understanding to heal. Here was God-in-the-flesh telling us that mercy and compassion are more important than tithing one’s herbs and spices. And don’t forget sheets with unclean animals, which really pointed to crossing the Gentile-barrier in mission. I also share a personal testimony. I recognise not everyone will agree with it. But it is my journey and hearing other people’s stories can help. I am beginning to realise more and more that I have never sensed the displeasure of our Father because I did not hold to the full biblical view of a particular doctrine. The greatest time I sense the Father’s displeasure is when it comes to not walking out what He has asked of me, not living as Christ calls us to live. Also, most who read my blog should be aware that I believe God still communicates-speaks-reveals today. Whenever I have known God’s more direct leading-speaking to me, I have never once heard Him challenge me to change a particular doctrinal view. This specific change comes in my life through normal, regular study of Scripture and other relevant writings (though I believe God definitely is in this and providentially changing my doctrinal mindset). But when God speaks to me, it is about obeying Him, walking out what He asks, living as He asks. It is this reality that has been extremely impacting in my life as of recent. One might disagree with acknowledging this, believing it to be dangerous. But such is the life reality of where God has me at the moment. And it is doing something deep in my heart, though I can easily resist. In all, I do believe both orthodoxy and orthopraxy are important. I believe this very much. They are interconnected parts, two sides to the same coin. Still, as I have stated elsewhere previously, I suppose that at the end of my life I will not have wished that I had read one more book or understood one more theological term. I will have wished I had better walked out the call of Christ, which was not firstly that I have top-notch theology, but rather that I follow him and serve and love others well. And so, as I approach orthodoxy (both right doctrine and right worship), I want it to ultimately impact my orthopraxy. I think we can all agree to that statement. But I believe this to be true as well – I can learn to walk out a life of obedience to Christ even if my doctrine is lacking in a few (or very many) areas. And I can only imagine the call for this is a reality today knowing my lack of doctrinal precision. In the past, when I have studied theology, systematic theology was my cup of tea. I truly found it the most desirable discipline of theological and biblical studies. Basically, it’s a manner of studying Scripture from a thematic approach. Meaning, we form systems of theology as we study specific topics or themes within the Bible. For example, Christology is the specific study of Christ throughout the Scriptures (i.e., one would probably start in Genesis 3:15). Or anthropology is the specific doctrine of humanity as found in the whole of Scripture (coming from the Greek anthropos). Eschatology is the specific study of last things (coming from the Greek eschaton). And so on and so forth. For me, that was my meat and potatoes with studying Scripture. On the flip side of the coin, there is biblical theology. This is more about studying Scripture book by book, chapter by chapter, verse by verse. It is about starting in Genesis and understanding Genesis from chapter 1 right through chapter 50, doing this verse by verse. Or with Romans or Isaiah, etc. Actually, this approach would be better known amongst Bible students as exegetical theology. But I am looking to keep the terms more simplified. So, though one cannot do this in the purest of senses, when we read a specific verse that makes a specific point, in biblical theology, we are not so much concerned about what other passages in Scripture say to form a system about that specific point and topic. We allow that specific passage that we are reading right there to inform us. Now, of course, there are other approaches to theology such as historical theology, practical (or pastoral) theology, etc. But, in our approach to studying Scripture, biblical and systematic theology become the two main perspectives. Neither are bad. Actually, both are good and help balance each other out. But, what I have found personally in my life is a shift more into biblical theology, moving more towards a centre and away from a heavy emphasis on systematic theology. For some, the idea of systematic theology is scary. Systematising can make some think of incredibly boxed theology. So I want to go ahead and say we don’t need to chuck it out all at once, the whole proverbial baby with the bath water. But what I have come to realise is that systematic theology can rob one of allowing a particular author within a particular context to speak forth the revelation of God as intended within that particular passage. It can become a roadblock whether we want to admit it or not. Case in point – We are reading Genesis 3 about ‘the fall’. What do we want to do? Probably jump to Psalm 51:5, Romans 5:12-21 and other passages, to construct a doctrine of sin, or even more, ‘original sin’. Again, such is not problematic in the bigger scheme of understanding the complete revelation of God in Scripture. But such can be problematic in allowing God to communicate via Genesis 3. We jump ahead when we should be putting the brakes on and allow Genesis 3 to speak to us as Genesis 3. The worst that systematic theology can lead us into is extremely tight formed theological boxes. We all have them, me included. But biblical theology becomes a helpful remedy in guarding against this. Again, systematic theology is a good and helpful discipline within theological studies. 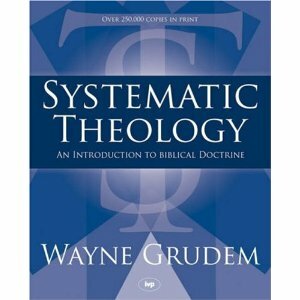 I still have four systematic books sitting on my shelves, of which Wayne Grudem’s is the most well-known. But, I have realised increasingly that systematic theology can only take us so far in our studies. Or, systematic theology can become a roadblock towards a faithful understanding of God’s progressive revelation as laid out in Scripture. So, let us embrace the text of Scripture. And even, at times, let us embrace a particular part or verse of Scripture as is, without turning to other parts and authors to inform us. God just might speak to us in that difficult passage or awkward reading.